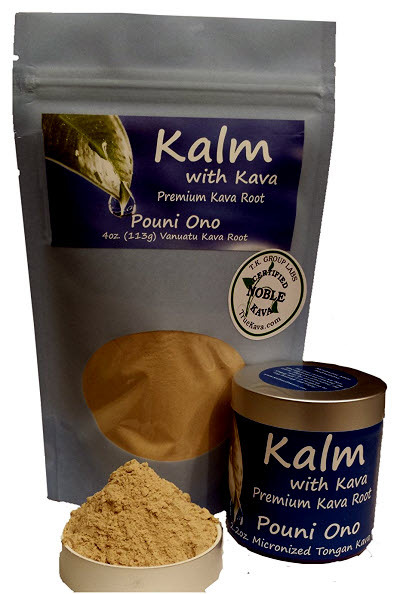 Experience the comforting calm of kava with minimum effort. An all natural product made from dehydrated fresh (not dried) kava root juice and rain water. Absolutly no chemical solvents are used in making this product. Made in Vanuatu, this is just about close as you can get to drinking kava in a Vanuatu Nakamal (kava bar). This super fine powder is twice as potent as the dried root powder. Just add to water or juice. There are appox. 10-15 servings of instant kava per 100 grams (3.5 oz.) package. There are appox. 25-37 servings of instant kava per 250 grams (8.75 oz.) package. There are appox. 50-75 servings of instant kava per 500 grams (17.5 oz.) package. There are appox. 100-150 servings of instant kava per 2 x 500 grams (2 x 17.5 ozs) packages.